Innovation meets phytocosmetics. Plant-based formulas with refined active complexes help bring renewed balance to all skin types. 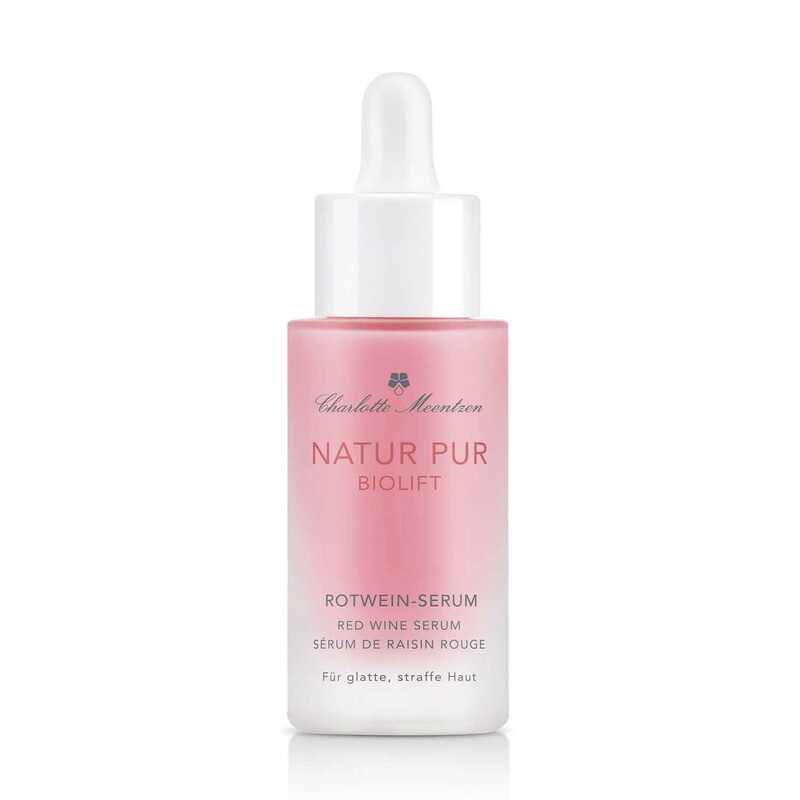 NATUR PUR lives up to the most recent findings in modern organic cosmetics. lt was developed in the traditional, holistic knowledge about the beneficial use of precious vegetable oils and natural essences in skin treatment. No mineral oil products, no PEG’s, no silicones, no synthetic preservatives, fragrances or colouring, all ingredients are of natural origin. This intensive red wine serum smoothens and firms the skin with instant results. Paracress, red wine and grapeseed oil soothe and combat visible signs of premature skin ageing, reducing laughter lines. The skin looks revitalised and more relaxed immediately. Aqua (Water), Citrus Aurantium Dulcis (Orange) Fruit Water, Glycerin, Alcohol, Vitis Vinifera (Grape) Seed Oil, Decyl Cocoate, Betaine, Jojoba Esters, Wine Extract, Acmella Oleracea Extract, Helianthus Annuus (Sunflower) Seed Wax, Sodium Levulinate, Xanthan Gum, Sodium Stearoyl Glutamate, Dehydroxanthan Gum, Glyceryl Caprylate, Sodium Hyaluronate, Sodium Anisate, Parfum (Fragrance), Citric Acid, Acacia Decurrens Flower Wax, Polyglycerin-3, Linalool, Rosmarinus Officinalis (Rosemary) Leaf Extract, Helianthus Annuus (Sunflower) Seed Oil, Limonene, Hydrolyzed Gardenia Florida Extract, Maltodextrin, Benzyl Benzoate NOTE: We regularly adapt our formulas to new scientific findings. This can lead to a changed declaration of the ingredients. The exact composition is always on the list of ingredients on the packaging. Apply a few drops to the face, neck and décolletage in the morning and evening after cleansing. Follow with day or night cream. Do not ingest! 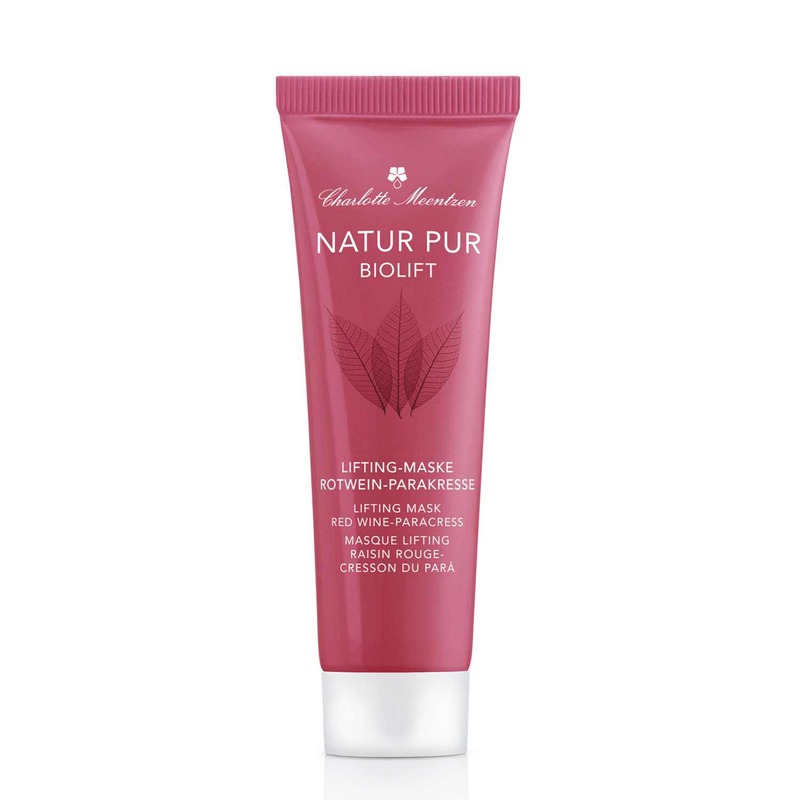 NATUR PUR lives up to the most recent findings in modern organic cosmetics. lt was developed in the traditional, holistic knowledge about the beneficial use of precious vegetable oils and natural essences in skin treatment. No mineral oil products, no PEG’s, no silicones, no synthetic preservatives, fragrances or colouring, all ingredients are of natural origin. This revitalising cream mask with spilanthol isolated from paracress instantly reduce laughter lines. Red wine extract acts against free radicals, while hyaluronic acid provides long-lasting moisture. 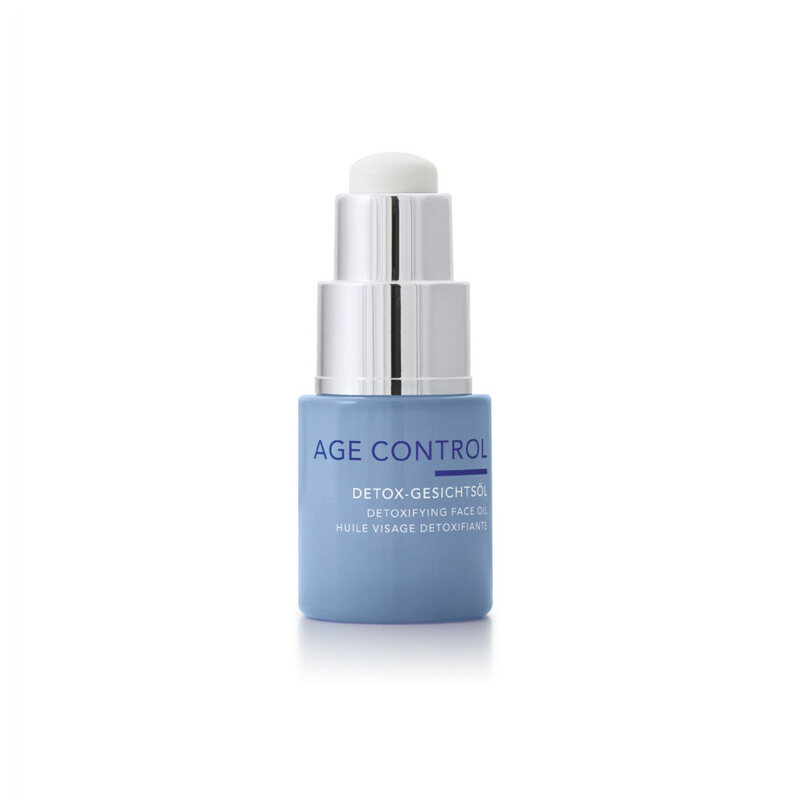 Collagen and elastin synthesis is stimulated, the formation of new wrinkles is prevented. Grapeseed oil makes your skin feel silky soft. Aqua (Water), Vitis Vinifera (Grape) Seed Oil, Oryza Sativa (Rice) Bran Oil, Dicaprylyl Ether, Cetearyl Alcohol, Glycerin, Decyl Cocoate, Betaine, Alcohol, Glyceryl Stearate, Shorea Stenoptera Seed Butter, Citrus Aurantium Dulcis (Orange) Fruit Water, Jojoba Esters, Wine Extract, Acmella Oleracea Extract, Helianthus Annuus (Sunflower) Seed Wax, Sodium Levulinate, Xanthan Gum, Cetearyl Glucoside, Sodium Stearoyl Glutamate, Glyceryl Caprylate, Parfum (Fragrance), Sodium Anisate, Citric Acid, Acacia Decurrens Flower Wax, Polyglycerin-3, Sodium Hyaluronate, Linalool, Rosmarinus Officinalis (Rosemary) Leaf Extract, Helianthus Annuus (Sunflower) Seed Oil, Levulinic Acid, Limonene, Hydrolyzed Gardenia Florida Extract, Maltodextrin, Tocopherol, Benzyl Benzoate, Coumarin NOTE: We regularly adapt our formulas to new scientific findings. This can lead to a changed declaration of the ingredients. The exact composition is always on the list of ingredients on the packaging. After cleansing, cover the skin with the mask, avoiding the eye area. Leave on for 10 minutes, then remove residue with a cotton pad. For firm, smooth skin The light, quickly absorbed facial oil cares intensively without being greasy. It protects skin against environmental pollution during the day and supports regeneration during the night. Essences of camellia seeds and wild pistachio firm the contours of the face and have a soothing and barrier-strengthening effect. Samphire improves hydration and smooths even dry skin until it is silky and soft again. After cleansing, put 4-5 droplets of oil into your palm and apply to the face, neck and décolletage, and massage in gently. Areas of dry skin will require more intense treatment. Do not apply to the eye area. 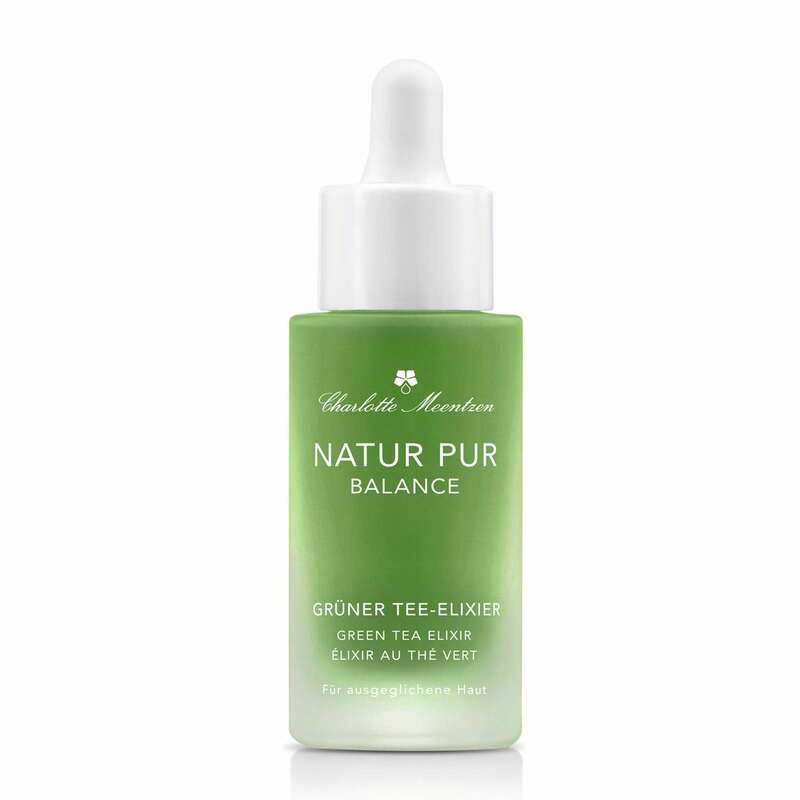 NATUR PUR lives up to the most recent findings in modern organic cosmetics. lt was developed in the traditional, holistic knowledge about the beneficial use of precious vegetable oils and natural essences in skin treatment. No mineral oil products, no PEG’s, no silicones, no synthetic preservatives, fragrances or colouring, all ingredients are of natural origin. This elixir both refreshes and soothes your skin, returning its natural balance. Hyaluronic acid and orange water provide long-lasting moisture. Extracts of true grass, schisandra and green tea soothe skin and offer antioxidant protection. Aqua (Water), Citrus Aurantium Dulcis (Orange) Fruit Water, Glycerin, Alcohol, Betaine, Camellia Sinensis Leaf Extract, Schizandra Chinensis Fruit Extract, Phragmites Communis Extract, Poria Cocos Extract, Sodium Levulinate, Xanthan Gum, Dehydroxanthan Gum, Sodium Anisate, Glyceryl Caprylate, Sodium Hyaluronate, Levulinic Acid, Citric Acid, Limonene, Sodium Benzoate, Parfum (Fragrance), CI 75810, Linalool, Geraniol NOTE: We regularly adapt our formulas to new scientific findings. This can lead to a changed declaration of the ingredients. The exact composition is always on the list of ingredients on the packaging. Apply a few drops to the face, neck and décolletage in the morning and evening after cleansing. Follow with day or night cream. Do not ingest! Store protected from sunlight.